The Cragus Group was founded in 2007 by a handful of professionals with many relevant years of experience doing business in and related to the MEA region, we share a common understanding of the wide gulf between tax and advisory services being offered by other firms in the region and strategic needs of clients. Recognised year after year as a leading independent tax adviser in the Gulf region, Cragus has expanded its network and service offerings across much of the Middle East & Africa. Negotiation of tax treaties and trade and investment agreements; introduction of new laws on tax, foreign investment and competition; and establishment of free trade areas, investment zones and incentives to encourage investment. 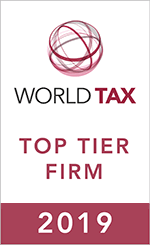 The tax team consists of top tier tax specialists from diverse backgrounds, nationalities and professions, and with many years of experience gained in the leading global accounting and legal firms, private industry and governments. Clients cover a wide range of different industry sectors, many of whom are western blue chip multinationals.